I haven't used the Perfect Mix Stamp set much yet, so I decided today would be a good time to break it out. I wanted to remind my mom of all the baking she did when I was a child. Our home was always full of ladies having coffee together with lots of neighborhood children to play with while our moms talked over coffee and warm coffee cake. This actually looks better in real life than these photos. I really love Pool Party and Real Red together. The hand saver were stamped on Whisper White in Real Red and Pool Party and then fussy cut before adding them to the card. No ribbons; no sequins; no glimmer paper. A pretty easy card. The sentiment is also from the Perfect Mix set. Its stamped in Archival Basic Black. I printed a whole series of cards I found online using Perfect Mix and this color combinations a while ago, and just got around to trying the set today. Of course, one of the cards was cut off and that probably had the name of the originator so I could give credit. Thanks to whoever originated this series. Contact me and I'll update this post with a link back to your original. We'll, I'm in Shreveport this evening. We have an OnStage Shreveport Facebook page and we're all chatting about our arrivals, best dinner locations, best site seeing and, of course, the rush to finish swaps. I'm in pretty good shape with about 60 finished cards and 24 bunnies jelly bean gifts (which I posted yesterday), but I just put on a big pot of coffee and I'm going to assemble a few more cards until I'm too sleepy to continue. Not too late, however. I've learned that OnStage can be mentally taxing. The pace is pretty fast and we're getting a lot of new information in a very short, one-day event. Between swapping, meeting new people, photographing the display boards, making samples using some of the new stamp sets, Prize Patrols (we all love free stamps! ), I'll need to stay one more night in Shreveport rather than trying to drive home (a 4 hour drive) at the end of the exhausting OnStage day. Plus, its a shame to go home without exploring a little bit of a city you've never visited before. This is one of the interesting buildings I saw while waiting at a stop light during my drive into the city. Time to get my Cajun on and get me some mudbugs! (Boiled Crawfish...) Some of the restaurants are still celebrating Cinco De Mayo and I've heard that you can even get your margaritas "to go"! April 8 - Demonstrators at OnStage will see the new June 1 catalog , demos of new sets, display boards with stamped samples of new sets, and we'll get to order some of the new sets early at an additional discount...one of the best benefits for attending OnStage. We'll also stamp some samples with new sets, and Prize Patrol means we'll receive a few free sets while we're at the event. 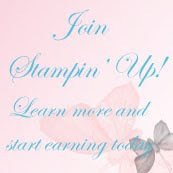 I'm so excited to be here, and I can't wait until Stampin' Up! lifts the embargo and I can share new products with you. Each year when the new catalog appears, many of our favorite sets and embellishments from the previous catalog retire. Many retiring items sell out quickly. 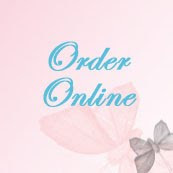 Make sure you're ready to place your order for retiring In Colors or that set you've been meaning to get You don't want to miss it. See my previous post for the item numbers you'll need to place orders for retiring 2015-2017 In Color items that will retire June 1. November 11 is the date of the next OnStage event. There will be an event in Salt Lake City, and I expect to hear additional On Stage local locations announced tomorrow. 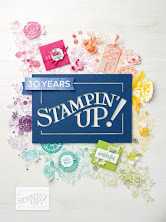 Begin planning now, if you're a Demonstrators, so you'll get a jump at creating samples and so you'll get early access to upcoming catalogs, free stamps from the upcoming catalog, and order early with OnStage discounts only available to OnStage live attendees.